Hooray, I finished in time! And, also hooray, Hannibal is back for season two! Okay, so technically it was back last week, but now that the second season has officially started, and we've gotten a feel for it (trust me, it's just as good as the last one, yay), I think it's time to take a minute to remember the women of that show. Bow our heads for a second and remember the awesome ladies taken from us too soon, and then raise our eyes to give thanks for the great characters we still have. Characters like Beverly Katz and Dr. DuMaurier and Alana Bloom. Specifically, today, Dr. Bloom. Why? Because I said so, that's why. Well, and because Alana is in a unique situation as the season begins. She is the only character truly sympathetic to Will's plea of innocence, and she's also the only one he stands a good chance of really convincing. But more than that, Alana has integrity. A lot of it. And she's strong. Strong enough to stand up for what she believes in, even when the FBI itself is demanding she back down. Alana Bloom will tear down the heavens themselves if she thinks an injustice has occurred. And she'll do it with a soft hand and a smile. Because that's the thing that's so interesting about Alana. Not that she's a strong woman with an ingrained sense of justice, or even that she's the one most sympathetic to Will, but that she's kind. I mean, genuinely truly kind. Her first instinct when her best friend and possible love interest turns out to be a psychopath (maybe) isn't blame or recrimination or even self-pity. It's kindness. But I'm getting ahead of myself. I know there are at least a few of you out there who are totally confused by now. "Who is this Alana?" you seem to say, as I imagine you. I always imagine you hypothetical readers wearing Hawaiian shirts, just so you know. Not sure why. "Who is this Dr. Bloom, and why does it matter that she is kind?" you say, sipping your banana daquiri. "What's Hannibal even about, anyway? And can I get a refill?" Hannibal is NBC's interpretation of the Hannibal books by Thomas Harris. The books were, as I'm sure you know, previously adapted as the movie Silence of the Lambs, as well as several other less good movies that we're not going to mention here. Anyway. Hannibal follows FBI Special Agent Will Graham (Hugh Dancy), as he consults for the FBI. Will is uniquely gifted with empathy, an ability to see the killers behind their crimes and get deep inside their heads. Unfortunately for Will, this is a gift that comes with a price. While it does make him amazing at solving cases, it also makes him deeply unstable. His boss, Jack Crawford (Laurence Fishburne), refuses to let Will out into the field unless he's talking to a psychiatrist. 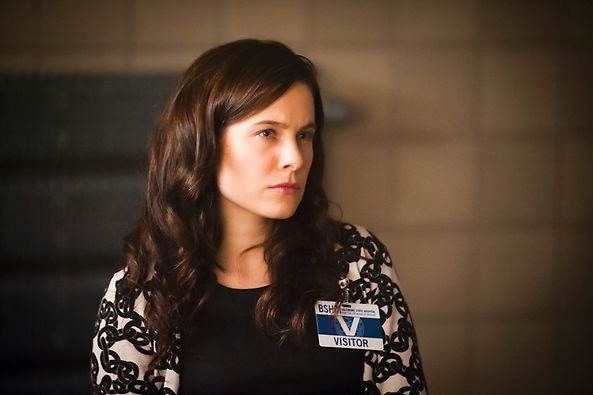 Now, he could to talk to Dr. Alana Bloom (Caroline Dhavernas), but she's more of his friend than his shrink, and that's vaguely unethical. Instead, Alana refers Will over to another psychiatrist she knows: Dr. Hannibal Lecter (Mads Mikkelsen). And here's where things get really interesting. Hannibal likes Will, and eagerly agrees to take him on as a patient, but not out of any altruism or sense of charity. Hannibal thinks Will's brain is fascinating, and he would like nothing more than to muck around in there. A lot. And he is Will's psychiatrist, after all, so he can. A lot. Will's already a bit unstable, and now he's being manipulated by Dr. Lecter, as well as being exposed constantly to a dangerous psychopath (Dr. Lecter, again - I don't think I need to mention that Hannibal is crazy and eats people, I feel like you know that). Will is not doing so well. It only gets worse when we realize that Will isn't just crazy, he's actually legitimately ill. He has encephalitis, a swelling of the brain. He's hallucinating, he's losing time, he's lost in a dreamworld, and he's convinced it's all mental. Hannibal knows it isn't. Hannibal also knows that he's just found the perfect patsy. So, SPOILERS but not really, Hannibal decides to frame Will for his own crimes. He decides to plant evidence that shows that Will Graham is a cannibalistic serial killer, all because of his unstable very special brain. Also, he frames Will for the murder of Abigail Hobbs (Kacey Rohl), a girl for whom Will felt genuine fatherly affection (partially because he killed her father, who was a serial killer, and got inside his head and this is a very dark show). At the start of season two, then, Will is in prison, or rather, a very high security psychiatric institution, awaiting trial. He now knows the truth, that Hannibal is the cannibalistic serial killer they've been hunting, but no one will believe him. All evidence has come back that Will is the one who committed the murders. That Will is guilty. And everyone believes it, even Alana. But here's the thing. 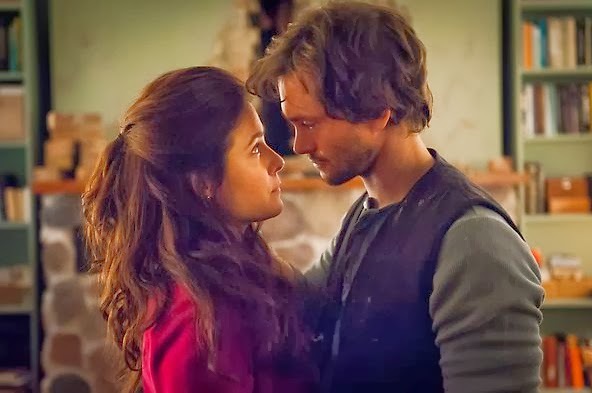 Alana, for all that she is devastated by Will's collapse, and frustrated by his mental instability, for all that she tells him, "I feel wounded," Alana is the only person who still treats will like a, well, person. Alana visits him, and asks how he's doing. She helps him rally his defense for the trial. He doesn't agree with her, of course, because she wants him to plead guilty, but she keeps trying to help. 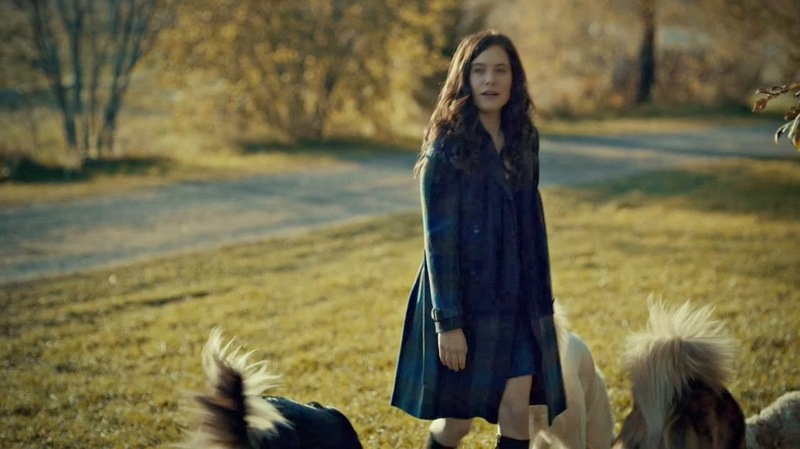 Alana even goes so far as to adopt Will's seven dogs, and care for them. Oh, and did I mention that she gives him regression therapy to see if he can recover any memories that might prove his innocence? Because she does. Alana Bloom isn't just a nice person, she's the nice person. She's unfailingly giving and kind and loving, even when she's been hurt. Now, in another situation, these traits might actually kind of bother me. I mean, Alana is the stereotypical movie girlfriend. She's selfless and supportive to the point of almost not having a personhood of her own. She's so good and so nice. But it doesn't bother me here, and I think I know why. 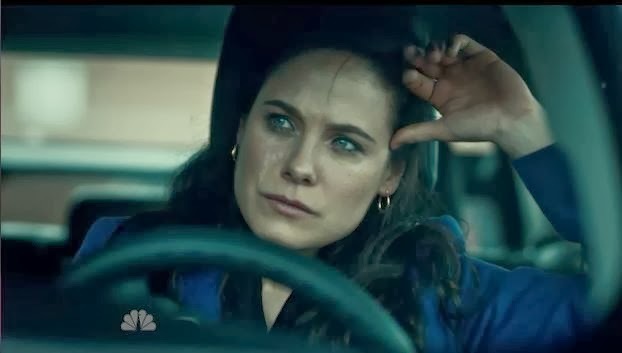 Part of it is because this show is so unremittingly bleak and dark (dark enough that Hannibal's constant cannibalism jokes are actually highlights), that Alana's kindness shines out in full color. But another part is because Alana isn't weak. Alana might be a freaking Disney princess on the kindness scale, but she's not weak. Not by any means. Her second action, when Will is taken away (after she adopts all of his dogs because she is a freaking saint), is to file a report on the way that Jack Crawford mishandled Will and his abilities. Alana had been petitioning for months to get Will out of the field and away from dangerous mental influences, but no one would listen. Now that Will has seemingly snapped, Alana is perfectly comfortable in calling out the people that she hold responsible. She's kind, sure, but she's not a wallflower. And, when the FBI demands that she recant her statement of misconduct, Alana straight up refuses. To Jack Crawford's face. And she does it nicely. She apologizes, but she makes it perfectly clear that she will not reconsider her position. Yes, Will is damaged. No, she does not think he's evil. And she will stick by that. It's not just Will, either. 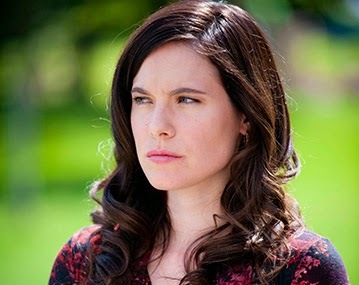 When Alana is faced with a female charge (Abigail Hobbs), who might very well be guilty of heinous crimes, she doesn't freak out or react with disdain. Alana just very calmly asks Abigail if she's guilty, and then goes on treating her with dignity and respect. Even when she knows, in her heart, that Abigail really is guilty. It doesn't change the fact that Abigail is still a person. You see, it's so easy to write female characters, or any characters really, who aren't very complicated. Maybe they're nice, but they're kind of weak, right? Or maybe they're really strong emotionally - but they have very little compassion. Alana isn't like that. She's beautiful inside and out. She's strong, because she believes in her cause. She's kind because she truly does see good in everyone. She's not one thing, and that's great. Also? I love that she's perfectly happy being beautiful. That she doesn't feel a need to dress down, to not wear beautiful things. She's girly, and she likes it, and it doesn't make her less of a BAMF to wear a flowered frock. But mostly, I love that Alana Bloom is good. She's a genuinely good person, on a show where pretty much everyone else is a pile of crap. Or at best, a shade of grey. Alana is good. And we need that sometimes. At the start of the show, it really looked like Alana was going to be Will's love interest. And I would have been okay with that, I think. But I like this better. Alana is Will's friend. She loves him and she will protect him. 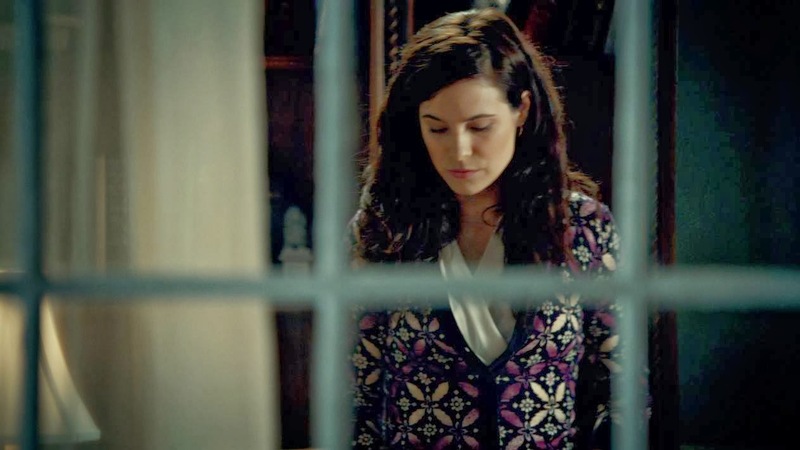 On a show where most episodes you just wish someone would give Will Graham a hug already, Alana does. She hugs Will. And she helps him. And she does it all with a smile, and an iron backbone.